I'm really just smitten with this months Paper Pumpkin kit!! 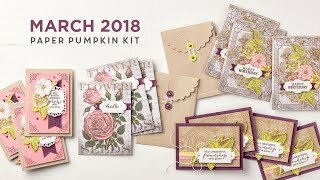 If you aren't a member and haven't seen this months kit, check out this video that shows the Filled With Love kit! Darling!! Today I'm sharing some alternate projects for the January kit. 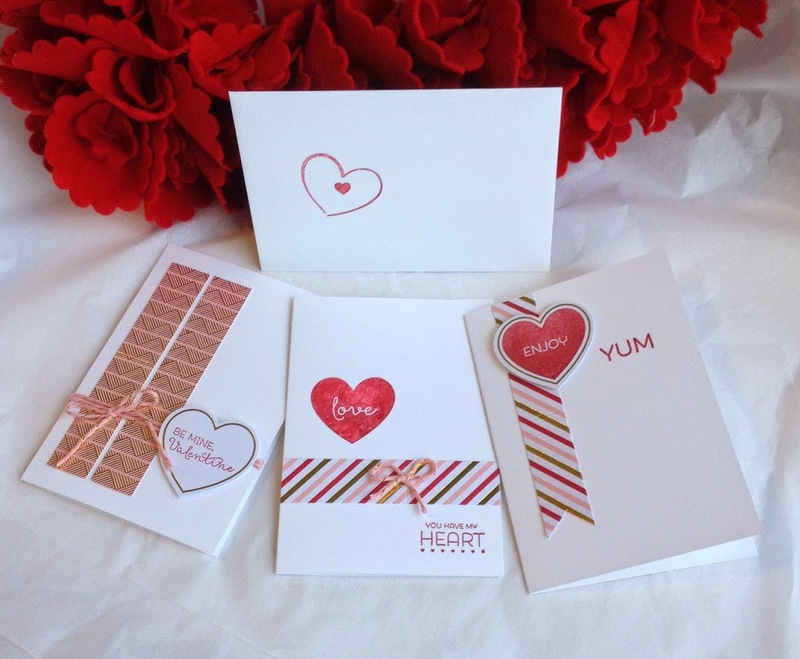 I think the stamps will be perfect for Valentines treats or for love notes to your sweethearts. I have 3 little sweethearts - I can just see tucking some notes in lunches or their back packs! 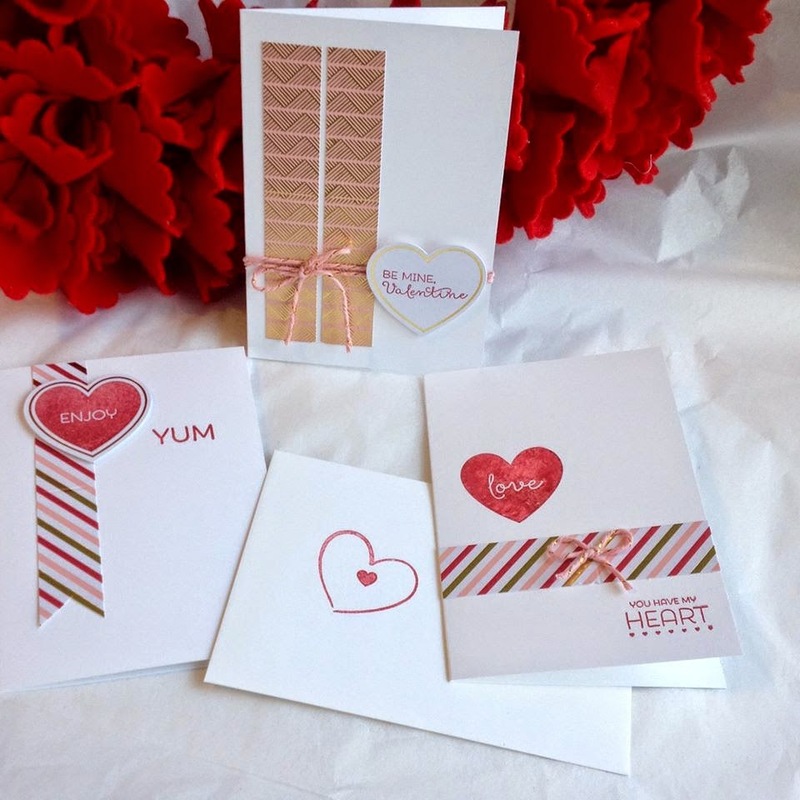 You could also use these for gift cards for weddings or anniversaries, or just sweet nothings for your special someone... Can't go wrong with Love! Economical idea: Cut the Note Cards in HALF and the envelopes too! If you are a Paper Pumpkin subscriber, I totally recommend ordering a pack of note cards to have on hand. They will work great with extra supplies, or just the stamps, in most kits! Once you've gotten a couple months worth, you'll be able to mix and match colors and stamp sets to make even more great cards! I've included them in the product links at the end of the post, check it out - you get 20 cards and envelopes in a pack!! If you have extra supply pieces from the kit; or you order two kits to play around with (like I do); or you realize how cool the alternate projects are for a particular kit and order a Refill Kit ((Available exclusively to subscribers!!))... Then you can use them to make other projects! 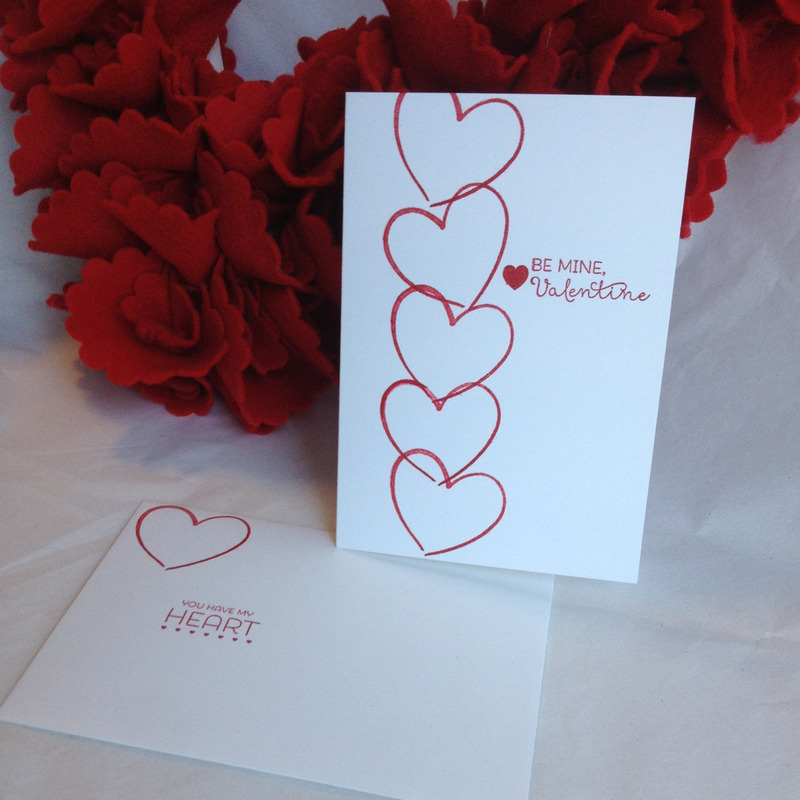 Note Cards - small in size, but can still handle the big feelings! 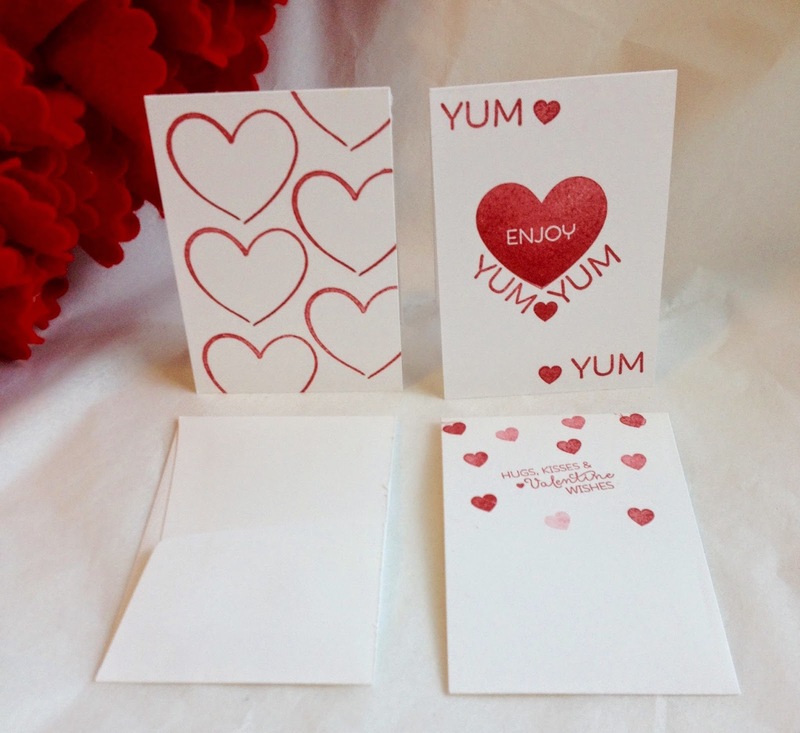 For these cards, I used the fold over bag toppers from the kit, cut lengthwise in half. On note cards this will give you a nice chunk of pretty paper!! And for every tag, you'll have a die-cut heart, so you can use those too! Or, when you run out, use the stamps! Don't forget to decorate your envelopes! You can see the beautiful Decor Pennant / Gift Bag Tag I made HERE. 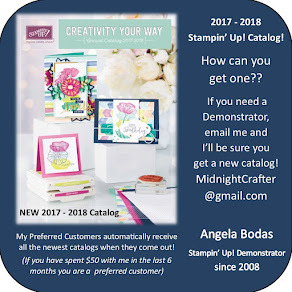 Friday, I will also be sharing some more alternate card ideas using additional products with the January Kit stamp set. Check back, or catch them on my Pinterest Board for Paper Pumpkin ideas from around the web! Don't miss out! Take a look at the options here, and sign up today!